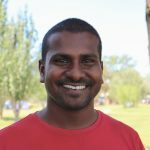 Nabeeh is currently a PhD candidate at the ANU with the Research School of Economics. His thesis examines the dynamics of income tax progressivity in Australia and international comparisons of the progressivity and redistributive effect of taxes and transfers. His primary research interests are in the areas of macroeconomics and public economics.